The 2019 Malcolm Phillips 5k race will be held on Sat 11th May 2019 starting at 4pm on Bowen Road. Due to resource availability and the short timeframe the AVOHK Committee have decided to pause the RTI in 2019 and resume the RTI in 2020. 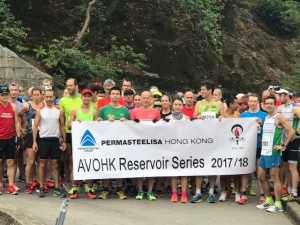 Race 4 and the final race in the 2018/19 Permasteelisa Reservoir Series was held at Shing Mun on Sat 12th Jan 2019. 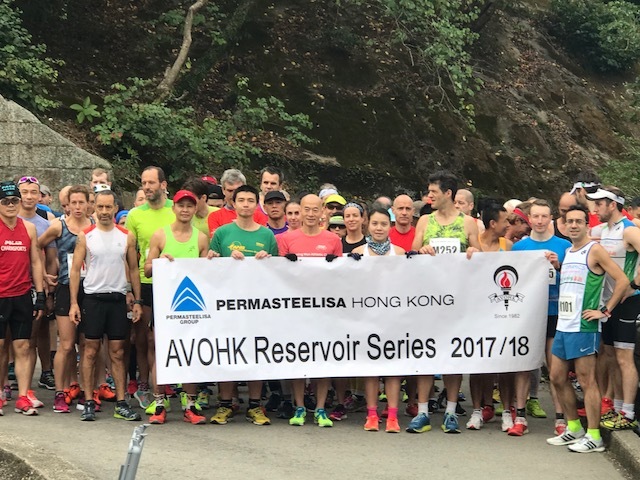 The race was held in wonderful bright sunshine and Jean-Marc Smits the Chief Operating Officer of Permasteelisa sent the runners on their way. 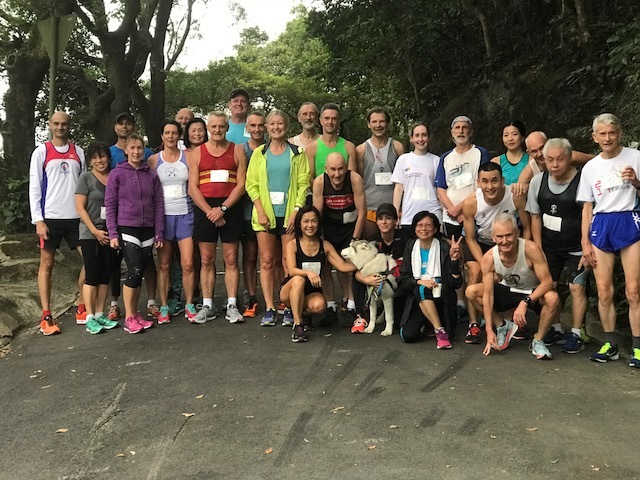 The AFCD had closed the 5k jogging trail due to a landslip and the Club decided to put on an out and back course of approximately 8.2k. This made the course extremely undulating and unrelenting for the runners. 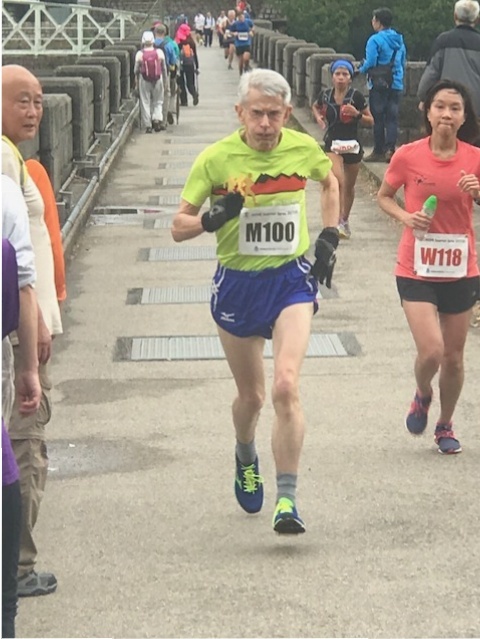 This did not seem to phase Giuseppe Mollica who raced to another very good win in a time of 34 Mins 10 Sec (also first M40) followed by David Wo in 2nd place in 34 Mins 53 Secs with Rayda Kezaz a further minute back in 3rd place in 36 Mins 1 Secs. 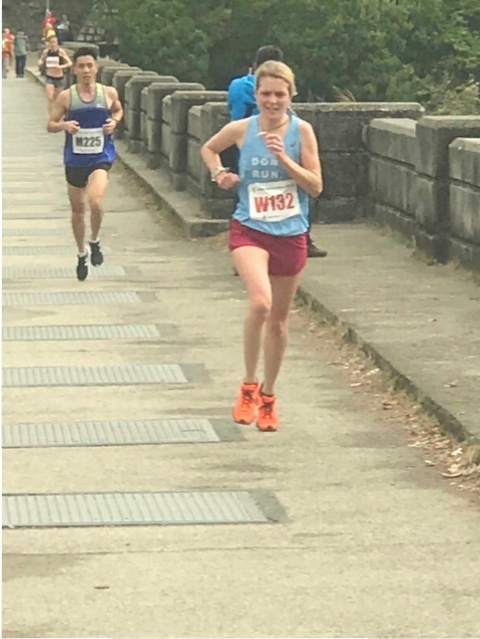 The first woman home was no surprise with Amy Mumford (Also first L40) coming an incredible 4th place overall in 36 Mins 5 Secs with Suzanne Gifford 2nd lady home in 39 Mins 30 Secs and Imogen Short 3rd lady in 44 Mins 16 Secs. 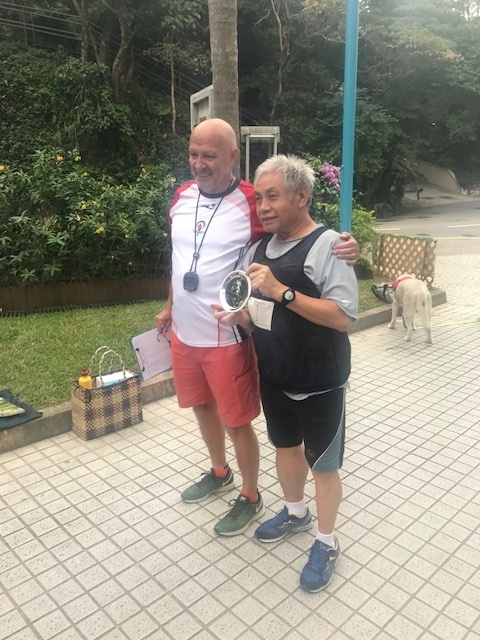 In the age group categories there were very good wins for M45 Stephens Higgins, M50 Thomas Hardcastle, M55 Man Nga Au-Yeung, M60 Ken Greer, M65 Chak Yan Chan, M70 Tsang Chi Shing, M75 Frank Pilkington and the fine example to us all M80 winner John Fowler. In the Ladies wins for L45 Carmen Wong, L50 Rebecca Cho, L55 Belinda Greer, L60 Lam Yuet Ming, L65 Wing Han Yeung. 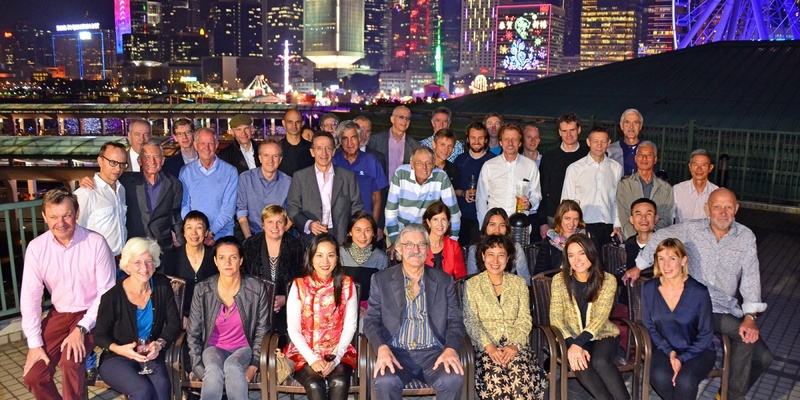 Thanks again to all the volunteers from the club and their friends who helped make this race a big success. 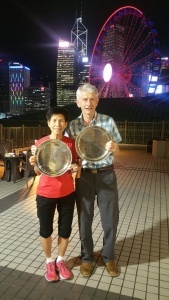 Congratulations to Ross Milburn and Rebecca Lau on being awarded AVOHK Athlete of the Year at the 2018 AVOHK AGM. Very worthy winners. 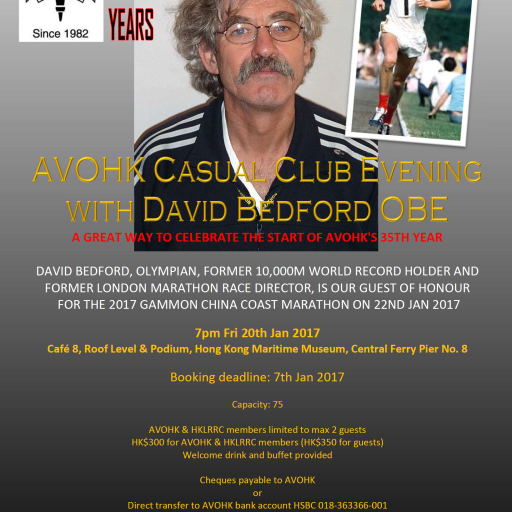 AVOHK organise this historic event in conjunction with the HKLRRC in memory of long time AVOHK and Ladies Road Runners member Malcolm Phillips, who so sadly died in May 2006. 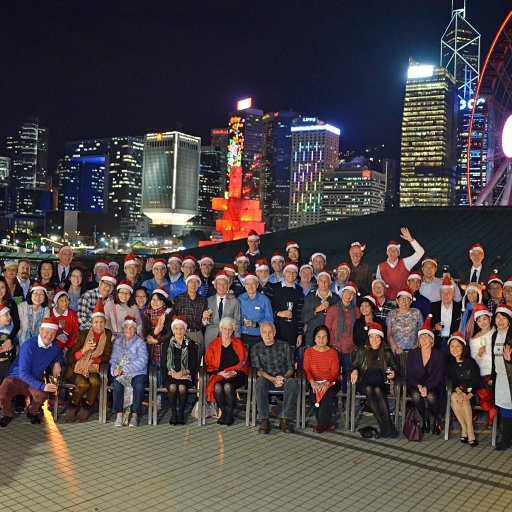 Malcolm was a great AVOHK supporter and active member, both participating in races and as an organiser. He is so sorely missed by all but especially by the running community. Malcolm is always in our thoughts. A big thank you to all the runners that supported this years race. 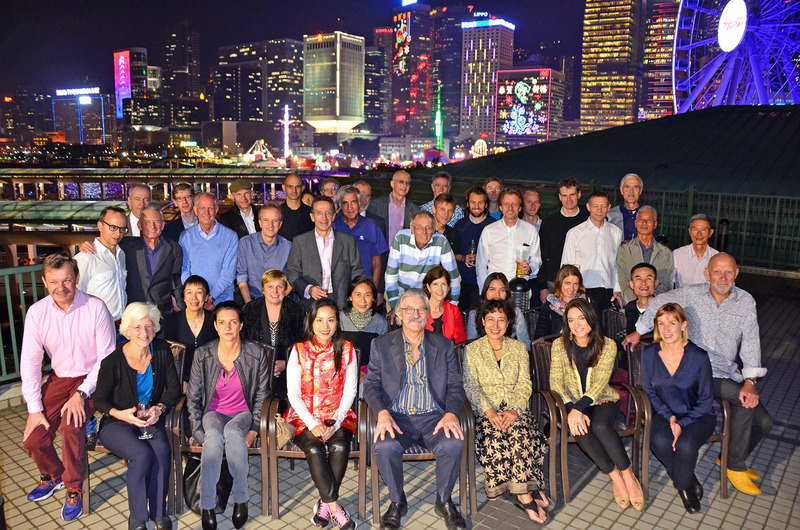 Everyone seemed to enjoy themselves and we were blessed with good weather. Thanks also to all the many volunteers that helped AVOHK put on this event, the Community Chest, Echo’s walking group, Hong Kong Adventure Corps, Taiquain, AVOHK Club Members, the Hong Kong Police (great job on traffic control) and of course our sponsors Gammon who are so special to the China Coast Marathon. AVOHK could not have put on this event without volunteer Race Directors Dave Smith and Catherine Leonard who spent many months planning and co-ordinating the 2018 Gammon Marathon and Half Marathon. 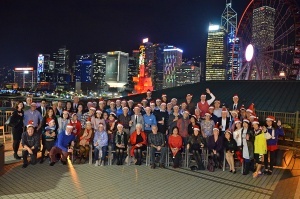 Dave & Catherine an outstanding job. For all those asking, Catherine is making good progress after a traffic accident on 25th Jan and is now back at home recovering.